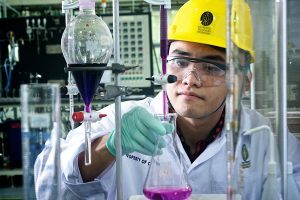 Students studying chemical engineering take a lot of courses during their study years, but the institution you attend determines which courses you take. However, students are generally expected to absorb as many engineering courses as possible. In chemical engineering studies, classes in computer science, economics, and ethics can also be taken. Courses specific to chemical engineering includes polymer science, introduction to petroleum engineering, statistics, reactor kinetics, and reactor design. Others include thermodynamics, process engineering, process modelling, engineering design, industrial chemistry, and process design. Let’s explore a few of these courses in detail. A polymer is a chemical material used in production, and polymer science gives students knowledge about these materials. The learners are provided with basic and fundamental knowledge to create and characterise polymeric materials, as well as understand their structure. This course is also making a huge impact on materials science today. Chemical industries use vessels or apparatuses in carrying out chemical reactions. This course provides the knowledge needed to understand the reactions being carried out inside the vessels, as well as factors that should be considered when building a reactor. Designs in chemical engineering industries revolve around this course. It equips students with knowledge on designs of processes required for physical or chemical transformation of materials. Chemical engineering studies cannot be complete without the knowledge of process modeling, which enables students to learn how to use computer modelling techniques applied in chemical engineering process design. Additionally, it allows the students to learn how to use purpose-built software in defining and predicting the behaviour of the process design. The knowledge of statistics helps students to understand the process of characterising a set of given data. They must have an understanding of how to use mathematical formulas and equations to evaluate, solve, and summarise the data they are given.